A bar can add a fun and dynamic element to any environment for entertaining guests, while also adding visual appeal to any home or business. Whether you’re serving up cocktails or just utilizing it for hors d'oeuvres, creating the right vibe and energy for your bar is what’s going to make it a desired hangout area for friends or clientele. Selecting the right material for your bar top is important for achieving the style and functionality that you have in mind. Our immense variety of natural and engineered stones are capable of fitting any décor – from modern to classic. Let’s take a look at some great options for bar top counters and explore which one is going to be best for you and you home design needs. 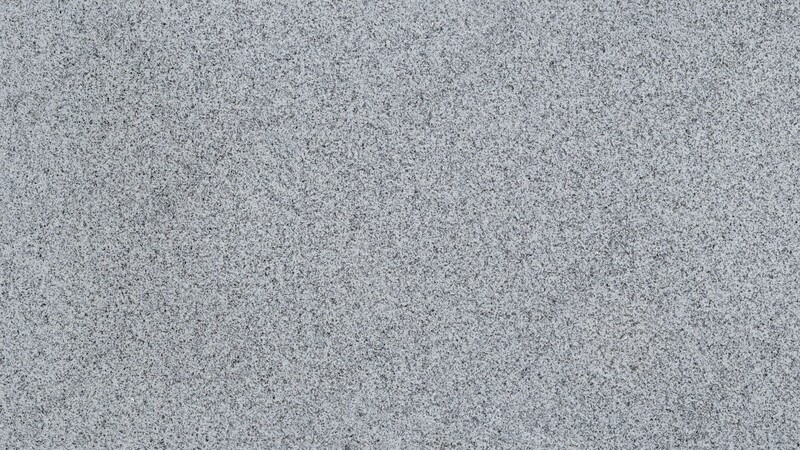 Granite is available in many different colors and styles, which make it versatile for any area, especially bar tops. Regardless of what bar design you have, whether it be a relaxing home bar, the neighborhood watering hole, or an upscale late-night lounge, there is a Granite that’s perfect for every application. Since Granite is a natural stone, every slab is genuinely unique, meaning that no one will ever have the same piece as yours. The durability of Granite also makes it an attractive choice, particularly for high-traffic bars such as restaurants, hotels, or homeowners who love to entertain. With just minimal maintenance required for Granite, such as a few minutes of daily cleaning and periodic sealing, it’s a reliable option for those who are looking to get a lifetime of use out of their bar. Onyx is an exotic stone that’s sure to make a breathtaking impression when used for a bar top. Its stunning appearance, which features rich parallel layers with contrasting shades are naturally formed throughout thousands of years. It has a remarkable one-of-a-kind style. The lavish beauty of Onyx caught the attention of civilizations dating back to the ancient Egyptians, and Greeks, who utilized the natural beauty of Onyx for making jewelry and extraordinary cravings. A unique feature that makes Onyx an irresistible choice for a bar top is its ability to be backlit because of its translucency. This is a relatively inexpensive process that truly allows the stone to exhibit its pure beauty and makes it the focal point of any room. Onyx is best used in low to moderately trafficked areas, such as home bars or exclusive lounges. Slate is a metamorphic rock derived from a sedimentary stone called shale, which is a mix of clay minerals with fragments of other minerals, such as quartz and calcite. This makes Slate significantly durable and also attractive. Slate is commonly used as a roofing material because it has a low water absorption rate, which also makes it ideal for high-traffic bars. Most Slates are grey but they also occur in a variety of other shades like green, red, black, and purple. The fascinating textured look of Slate makes it unique from other stones. If you are looking for a resilient material for a busy bar while also achieving a modern style, Slate is the perfect option for you. Gemstone is a piece of mineral crystal that, like Onyx is commonly used to make jewelry because of its exceptional beauty. Gemstones are mainly used in hotels and museums because of its incredible aesthetic appeal. It can be backlit as well to provide an elegant look that is ideal for extravagant, low-traffic bar areas. If you want an exotic look with exceptional beauty that shows a high-class status, Gemstone is it. Marble is a metamorphic rock that has commonly been used in sculptures and buildings, such as the New York Public Library, for hundreds of years. It brings unrivaled elegance wherever it is used, especially for bars. Marble has a classic look and brings increases the equity of any home or business. Marble’s subtle veins and calm appearance adds luxury to your bar. It is best suited for a relaxed environment that won’t be subject to extensive wear and tear. Proper sealing will be vital in getting the most out of your Marble, as it can potentially stain from wine and other acidic beverages if they are spilled and left for long periods of time. 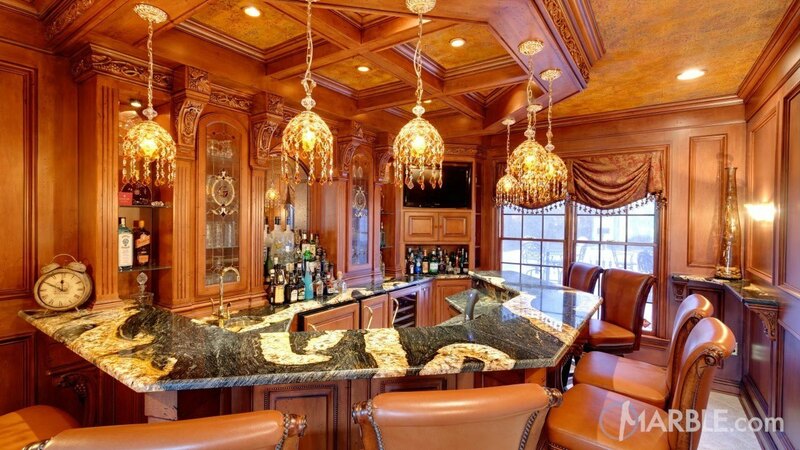 Home bars or private party rooms at a restaurant are ideal applications for Marble. For extremely high traffic areas, an engineered stone may be best. Quartz is highly resistant to stains as well as wear-and-tear. The manufacturing process allows for a wide range of color options, which makes it easy to pair with any design scheme. Quartz is non-porous, meaning it will stand up to even the busiest areas and will never require sealing. You can be confident that Quartz will remain clean and in good shape for years to come. It’s an excellent choice for highly active restaurants or homeowners who frequently entertain guests.